Confirmation from American, Russian and European defence chiefs that UFOs exist as a security threat - Military reports from the former Soviet Union, including encounters by pilots and astronauts, the landing of a UFO at a radar station, details of a unique state-funded research effort, and top-secret naval intelligence and KGB reports – Reports of near-misses with UFOs reported by British Airways pilots – An Argentine airliner’s near-miss with a UFO, followed by a localized power blackout – The release by the Spanish air force of hitherto top-secret UFO reports – A UFO landing reported by an army reservist in Cuba, investigated by the KGB – Military reports and airliner encounters plus official developments in China – A biophysicist describes his analysis of alien materials recovered from a UFO crash in New Mexico in 1947, and his viewing of the skeletal remains of an alien stored at NASA’s Jet Propulsion Laboratory in California – Former astronaut Gordon Cooper’s report of a flying disc filmed landing at Edwards Air Force Base, California. 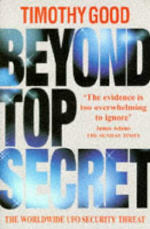 Beyond Top Secret spent five weeks on the Sunday Times best-seller list. "Overall this is a fascinating and well-documented book that makes a convincing case. The evidence that Good has amassed is too overwhelming to ignore and it is clear that a more open debate is long overdue." "He worries away at the evidence like a forensic scientist, until, at the end, there’s a small pile of incontrovertible nuggets containing the impermeable conclusion that Earth is increasingly visited by aliens... and that such is the frequency of these encounters no government yet dares to reveal the scale of what is going on." "Beyond Top Secret has about 110 reports by pilots all over the world. The author’s objective, often cynical approach has won respect from sources more likely to scoff at anything remotely connected with the subject... Of course, it is easy, too easy, to dismiss Good’s firm belief in an alien presence on Earth, until you read the amazing wealth of intelligence documents." "Good claims that a number of research projects are still ongoing, and that public statements are geared to disinformation. He also says he believes that alien races may have established bases within our solar system, and that the trickle of alleged evidence so far documented about alien physiology shows a genetic link with humanity which may hint at a hand in our evolution." 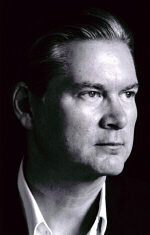 "His arguments are compelling. The book is thoroughly researched and immaculately referenced. If you have only a passing interest in the subject you owe it to yourself to read this book. It is the most significant study of UFOs to be published to date."